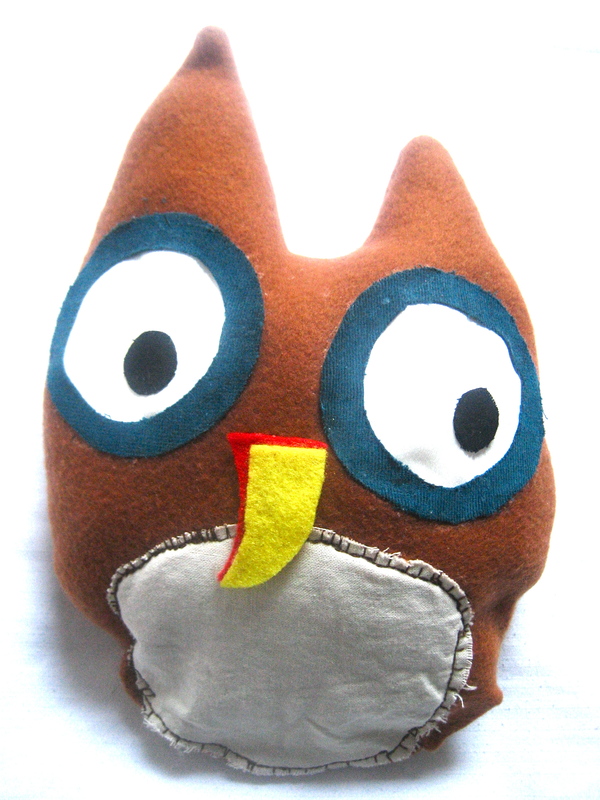 Cornelius Hoot is a plush, interactive owl night-light. He is the perfect bed-buddy or go-everywhere companion, with eyes that glow a soft, friendly green. He blinks on his own or on command with buttons in his ears controlling either eye. He goes to sleep if left alone for a half-hour. 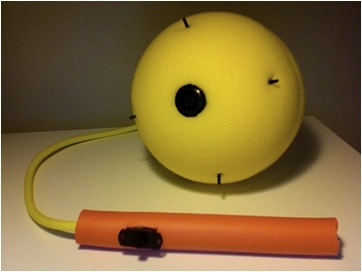 The Blorb is an interactive toy mace, a foam weapon whose spikes trigger streams of digital noise upon striking its victim. An embedded infrared sensor reads the Blorb's surrounding environment, changing the persistence and speed of noise according to its distance from its target. 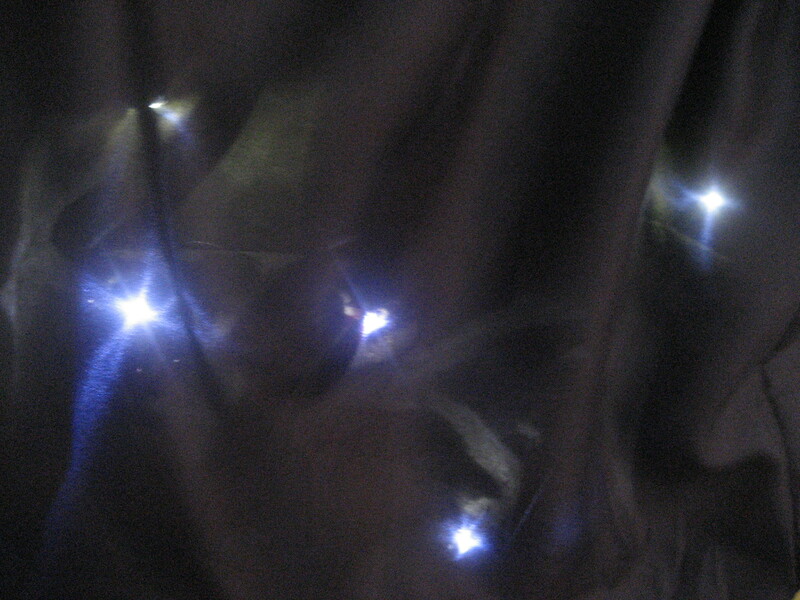 The constellation skirt contains LED circuits evoking the forms of ursa minor (the little dipper), Cassiopeia, and Cancer (the crab). A dark, voluminous outer layer enrobes an underlying layer of circuitry. The circuit representing each constellation is broken but is intermittently and fleetingly completed at random by the wearer's movements, causing momentary flashes of complete constellations.